Hi All! The month of March flew by so quickly that I didn’t get a newsletter out to you. The barn has been extremely busy with lessons, team clinics and LOTS of horse shows! There are many recaps of the shows below. Our show teams are always ready to welcome new members! 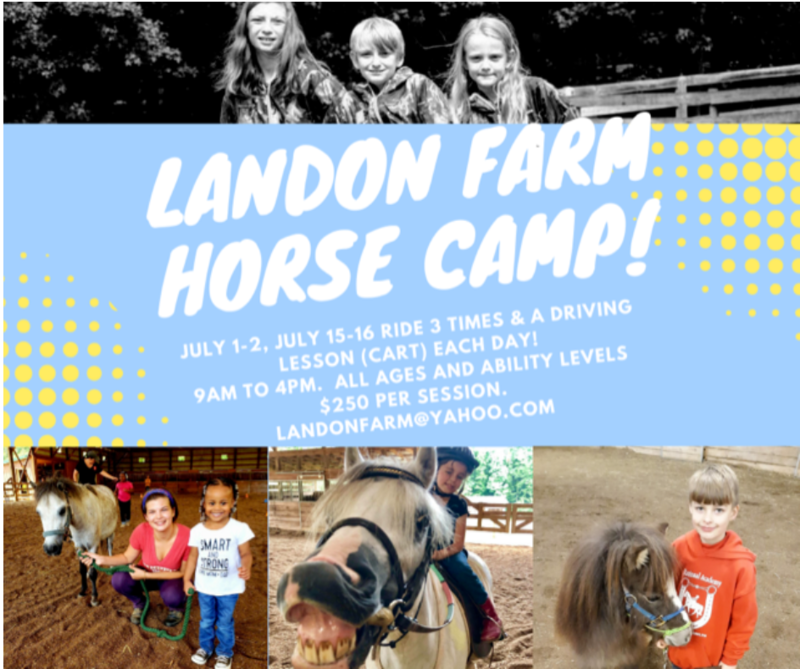 Registration is filling up quickly and we don’t want you to miss out on the most “horsey” camp in the triad. Email today and reserve your spot. A non-refundable (non-transferable) deposit of a $75 can be made with Venmo, PayPal, or check. The total cost of the camp is $250. The remaining m Ry is due on the first day of camp. LF will host 2 camps that are two days long. These camps are open to riders 5-12 years old and any experience level. These camps are the most hands-on in the triad. This is not a watered down horse camp. This is a true horse camp. We will ride 3 times both day. 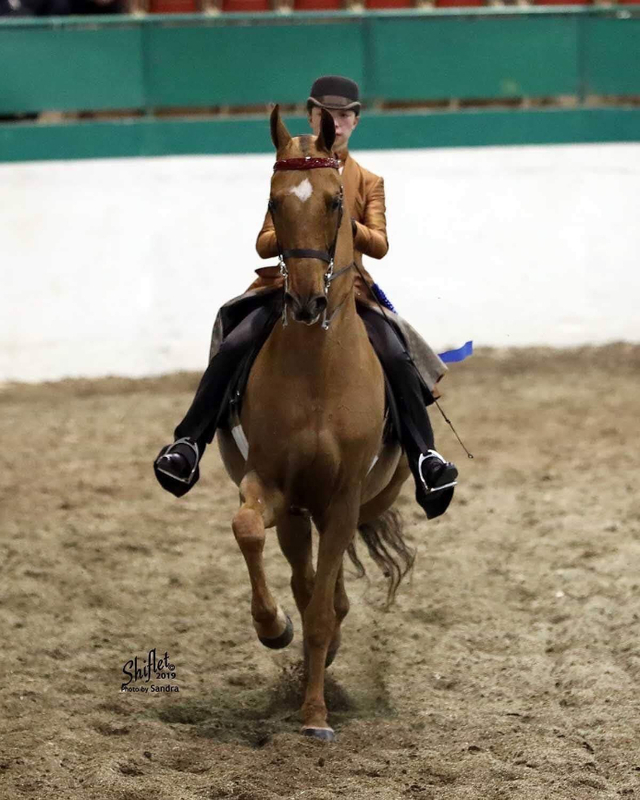 Horsemanship on the highest level with 2 lessons and a game on horseback daily. In addition, there will be a daily driving lesson(controlling the horse in a cart). Every camp has a cap of 12 riders. This cap allows for quality control and assures that it is not a factory atmosphere where riders sits around while being verbally lectured by the instructor. Horsemanship is about being involved directly with the horse and our camp promotes this theory. Riders will be divided into group classes with riders of similar abilities during the camp. The head trainer, Kathryn, will teach the lessons during camp. From Kathryn’s expertise to the best school horses in the triad, this will be an epic camp! Send 2 or more kids and get a $30 discount per child if they attend the same camp. 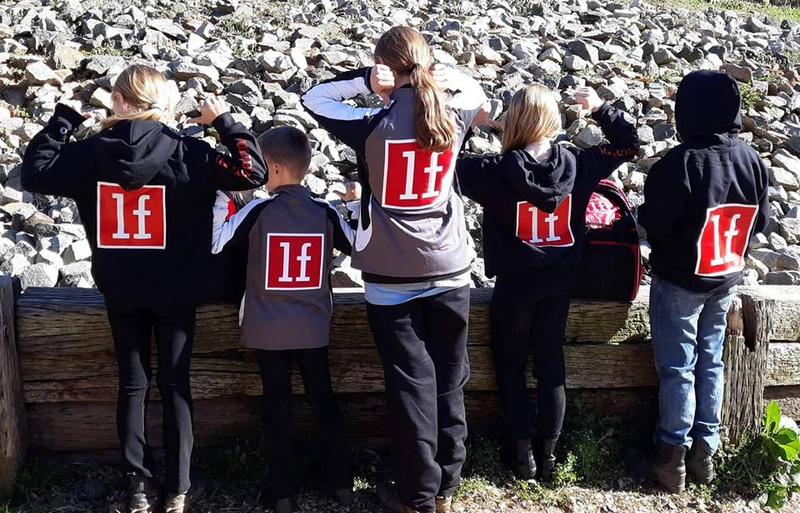 If a current LF student gets a friend (that has never ridden at LF) to attend, the LF student will receive $49 credit towards their camp. Your friend must tell us that they are attending because of your recommendation. If one rider signs up for both camps and receives a $50 discount on the second camp. The next clinic (second team clinic) is Sunday, April 7 from 2-3:30. Please arrive early to help get your horse ready and be prepared to stay at least 15 minutes after to untack your horse. You must email the barn to RSVP. This clinic is free to all team members. Our first clinic had 7 team members. We worked on using the walk to our advantage. Every rider showed a huge improvement in anticipation and execution. Often times riders become too relaxed and mentally checked out at the walk. This group was challenged by many different scenarios during the clinic. LF has sold many horses this year. Most recently to farms and new owners in Indiana, Kentucky, Alabama, and Pennsylvania. We have several amazing horses for lease and for sale. Email Kathryn to set up and appointment for more info. Savannah is the proud new owner of a top of the line used saddle! 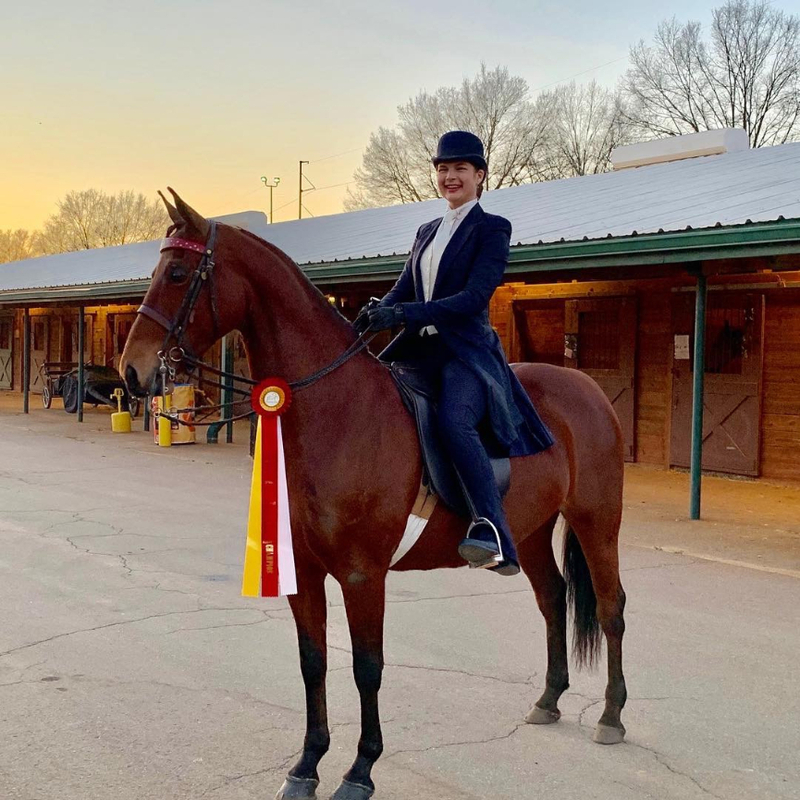 She received her new saddle for her birthday and most recently won a blue ribbon at the UHC show in her next Shively 2000 saddle. 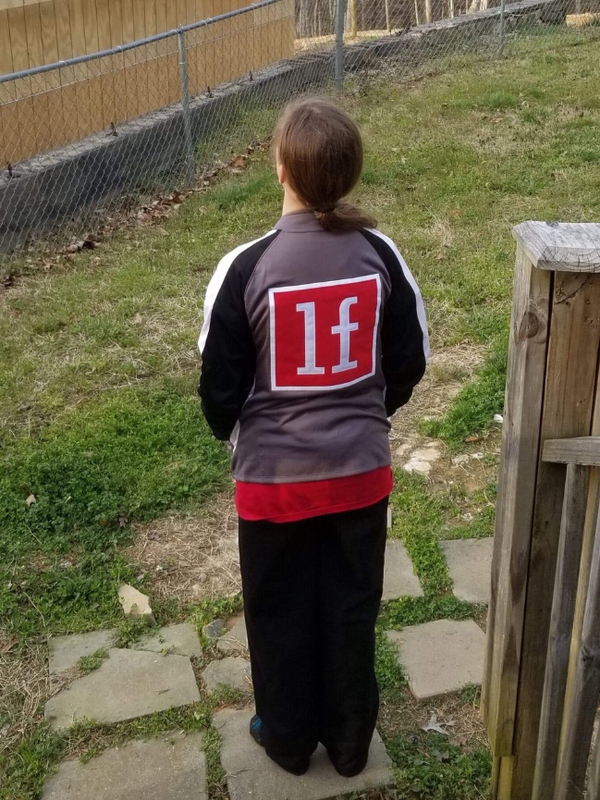 Wearing proper riding attire is mandatory at LF. After 1 month of lessons, all riders must have their own paddock boots, helmet, gloves and riding pants (bootcut jodhpurs or breeches). No tall boots, much boots or cowboy/girl boots, fashion boots are allowed. These boots are not constructed to support a riders leg position while posting, guiding and balancing. Riders CAN NOT opt out of wearing their boots for tennis shoes. Kathryn and her employees wear their boots a minimum of 9 hours per day. Your rider can change out of their boots after their lesson. Ariat boots are the most comfortable. Helmet- no bike helmets allowed. These helmets are not constructed to protect the back of the head. The helmet MUST be fitted and snug under the rider’s chin. Please write your name in the inside of the helmet with a paint pen. I prefer Kerrits bootcut style pants called jodhpurs. You can also get riding tights or breeches. The pants I mentioned are not for Hirse shows but are for practice. Leather or synthetic gloves specifically made for horseback riding. The reins will slide through the rider’s hands and cause blisters. Go to the local tack store to try on various styles and sizes. It was a tad cold and a little wet but the rain broke and we had a fantastic time at the horse show. Facility complications forced this tournament to move into the NC StateFairgrounds into a large outdoor arena. Bets and Titus loaded up int the small horse trailer and met Sharon, Clare L, Emma W and Ashleigh at the fairgrounds. The small team was fierce and mighty. Clare L swept the 10 and under WT equitation and showmanship classes on Titus. 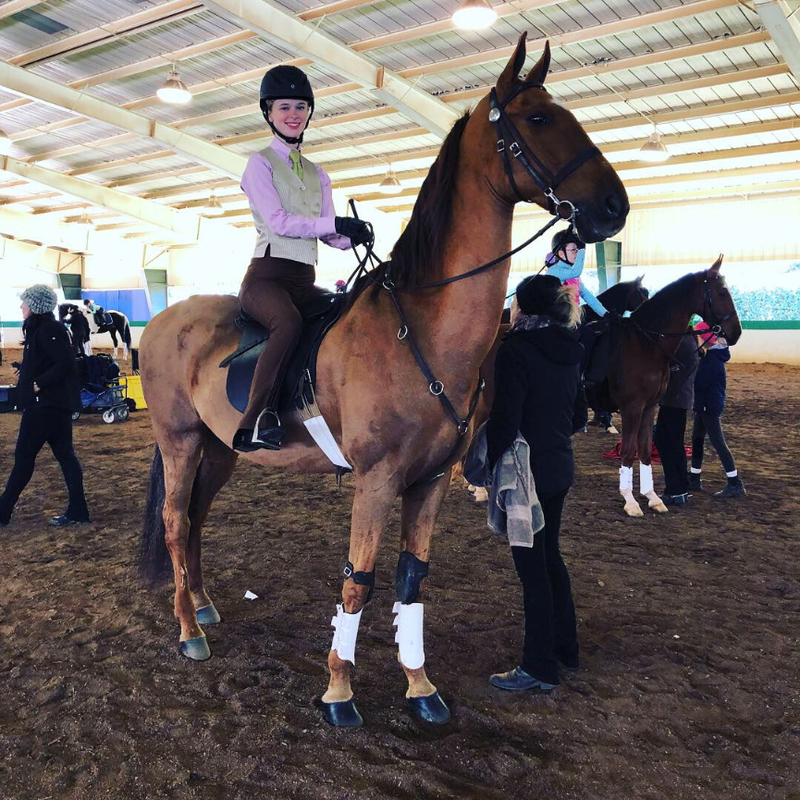 Emma W loves riding horses and it was undeniable as she and Bets competed in leadline walk and trot. Emma showed her skills of balance and posting while Kathryn was close by for assistance (if needed). 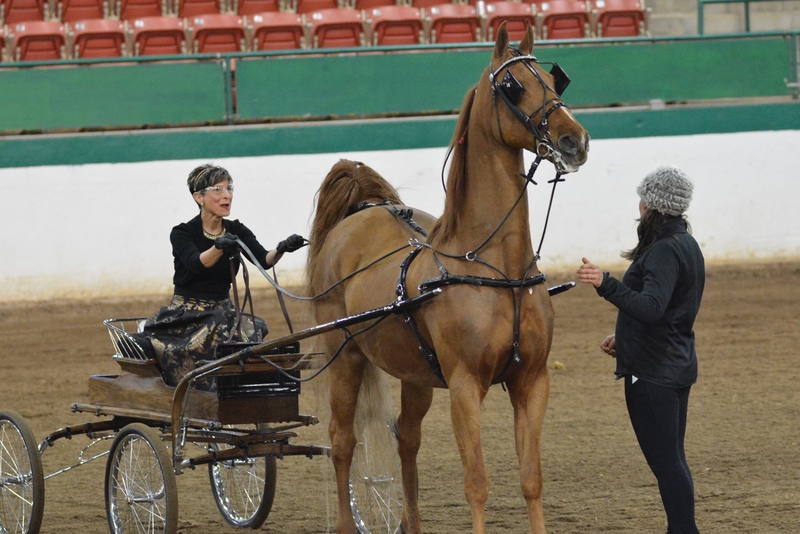 Sharon nailed the driving pattern with her baby horse, Titus. Sharon has been working hard to navigate a figure 8 (looks like a sideways 8) when Titus is pulling a cart. This can be very difficult to maneuver a baby horse in a cart that is not used to a particular facility. 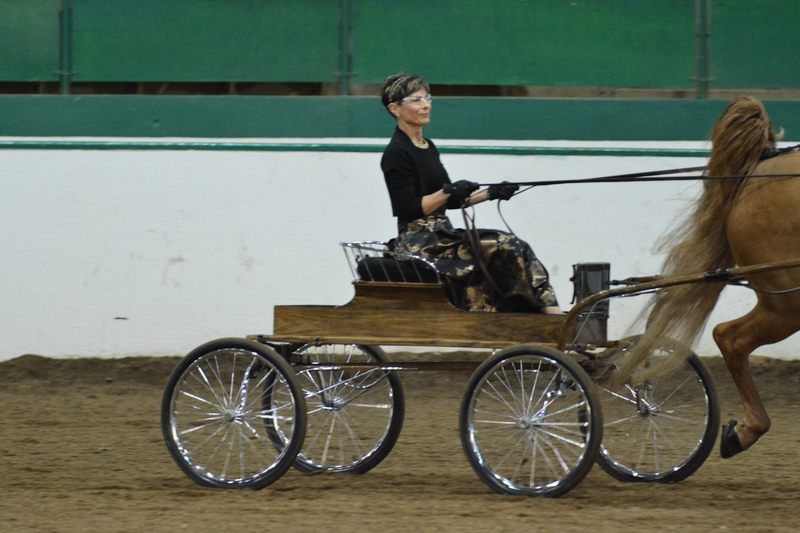 Sharon exhibited her leadership skills and had two beautiful drives that earned her two blue ribbons. 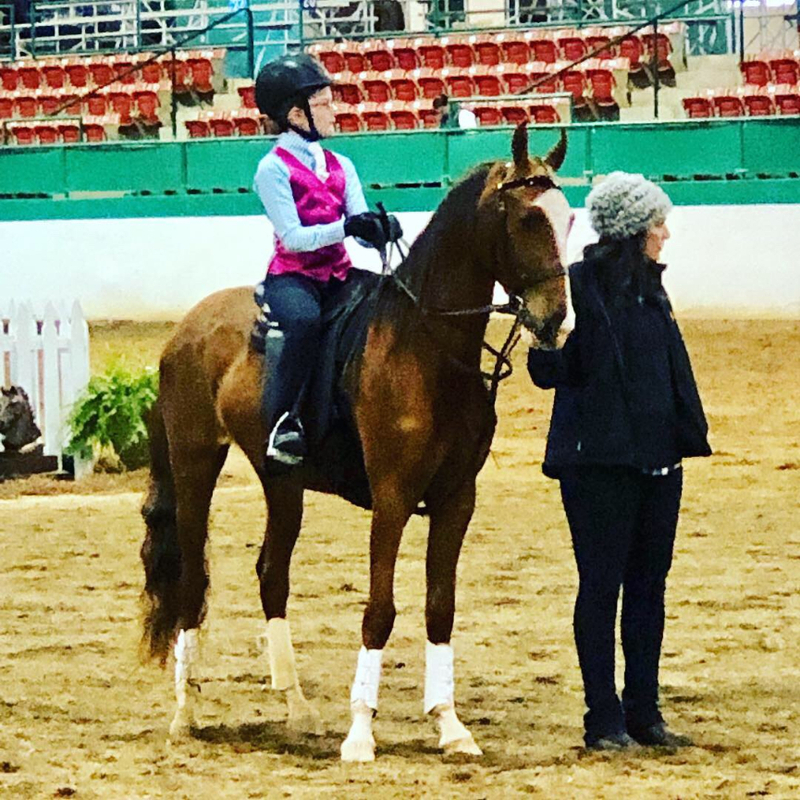 Ashleigh rode Titus in a class that required a walk, trot and canter. This is the second time that Titus has ever cantered at a show. They were 2nd out of 6. I (Kathryn) can remember just evolution every horse and rider that has ever shown under my instruction. I can’t remember numbers but I can tell you every moment in a show and how I felt. This show will stay near and dear in my heart for a very long time. Every rider is important to me and everyone tugs has a special place in my heart. Some riders excel in this sport quickly and others have a long per road to their own personal success. There is a rider that started with me over a year ago named Blaire. I had not idea where our journey would take us when Blaire began lessons with me. 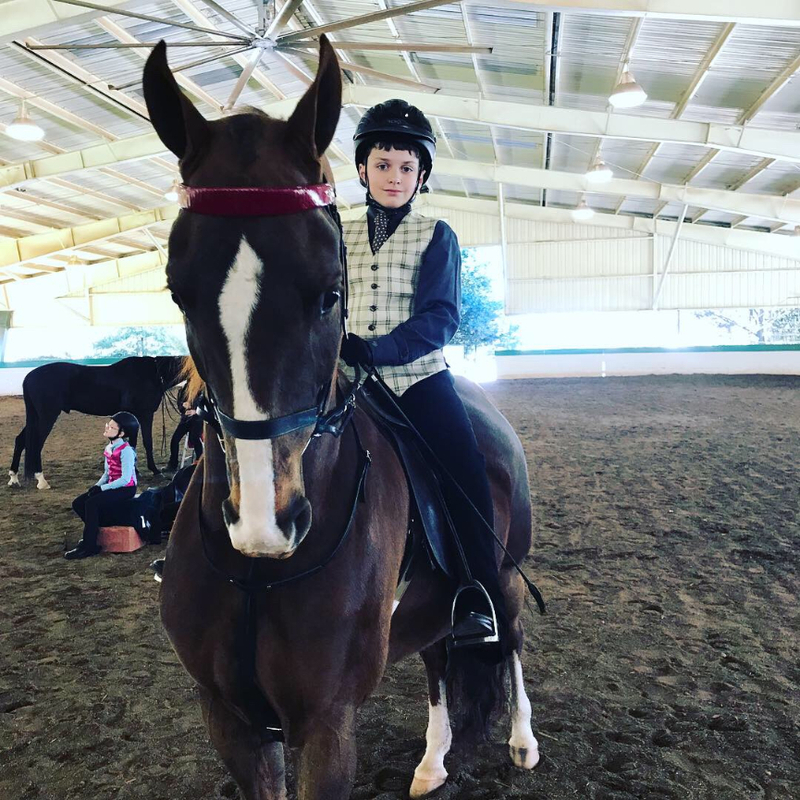 Blaire has autism and I had not had any experience teaching riders with autism. Fast forward just over a year and Blaire competed in her first horse show on February 23 and rode Bets. Many barn family members came to cheer on a special young lady even though they weren’t showing. She won three blue ribbons. Although I loved the victories, I am more excited that Blaire realizes what an amazing goal she accomplished. I look forward to sharing more about Blaire over the next few months about her journey with horses and the Landon Farm barn family. Rachel continued her winning ways with Perry and won the two biggest classes on the day with her teammate. The consistency and swagger that Rachel and Perry bring to their division is a blast to witness. Silas and Ella had great rides on Cowboy and Titus although a few mistakes kept them from the top ribbons. They are preparing for the upcoming show season in the cantering division and worked through their “kinks” like pros. Raleigh Spring Premier- BIG DOGS! This show was our first large show of the 2019 season. The show was 4 days long and we were in Raleigh with 8 horses for 5.5 days. We had 6 riders compete in Performance and 3 riders compete in Academy. Performance is the equivalent to Division 1 athletics in college or the NFL. 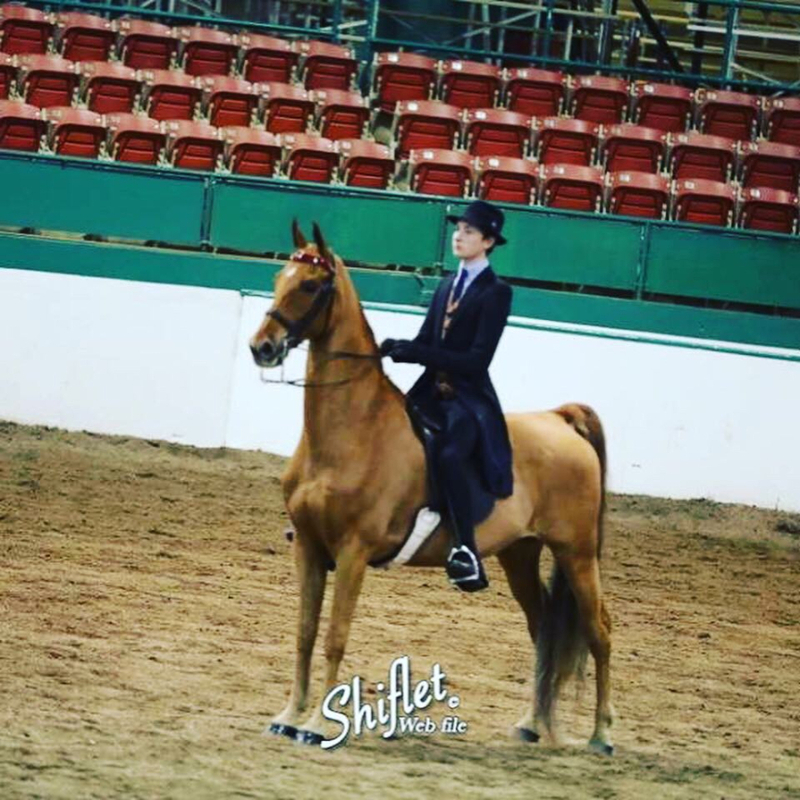 These riders are competing at the highest level in divisions that complement both the strengths of the horse/pony and rider/driver. Drew, Sharon and Ashleigh are getting qualified for the World Championships. They have to compete in a variety of shows to be eligible to ride in this prestigious event in August. Mary T has been riding performance for years and always any horse to the show that needs more ring time in order to succeed. Ella and Silas also ride in performance and are taking on the challenge of the cantering division again riders much older than them. Brennan, Rachel, and Clare rode in their first very BIG academy show. 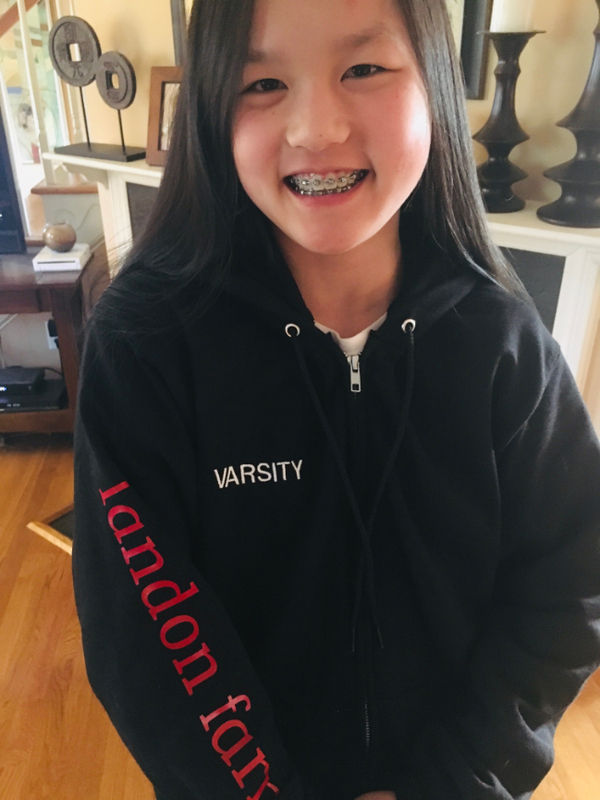 Academy has many different levels: From a “recreational league/ymca” to a JV or Varsity high school athletic team. This show means that all three riders are competing against the best in this division called academy. Victory Passes (1st place) were made by Ashleigh and Silas on Perry in performance. Reserve champs (2nd place) were made by Sharon driving Boomer, Drew on Trooper, mary on Morgan, Ella on Perry and Ashleigh on Duncan. Top ribbons (3rd to 6th) were earned by Drew, Rachel, Clare, Brennan, Ashleigh, Ella and Mary. Our favorite new show series. We will be attending a show every month that is supported by this amazing association. These shows are located all over NC and are open to all breeds of horses and disciplines. We were excited to attend our first UHC show in Mebane, Nc. We took performance and academy horses and riders of all abilities- very advanced to very beginner. The show management, hospitality, and the atmosphere was amazing. Savannah, Blaire, Clare, and Brayden all brought their A-game with their academy horses. These four riders had an amazing work ethic and truly displayed some of the best horsemanship skills that I have seen for a new group of teams (a team is a horse teamed with a rider). Silas, Ella and Ash all showed new horses/pony. I am very proud of their ability to apply horsemanship skills at the moment. These three are also proving to be great leaders and mentors to our younger riders. Thanks to Michelle, Matt, Shannon, Cheryl, Mary, Rachel and Brennan for their help behind the scenes to make the day run flawlessly. ****Below is a reminder of what a helper or intern is required to do in order to participate. All riders will need to display their commitment in their lessons before they are eligible for this fantastic opportunity. Commitment includes riding lessons twice a week ,a willingness to listen and learn and respect for the rules. What is a barn helper?.... This is anyone young or old that wants to learn more about horses, the farm life and the lifestyle of being an equestrian. 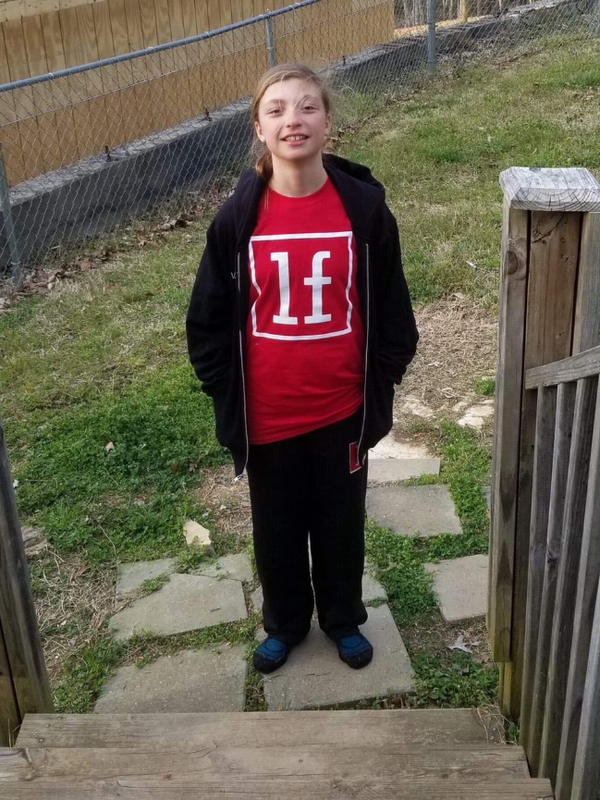 This person will volunteer 1-4 hours in a day. This person would probably volunteer 1-2 times a week. We would schedule the volunteer to work when a mentor is available. The horses deserve the best and their care comes with a lot of rules to ensurethe safety of the volunteer and horse and quality care. 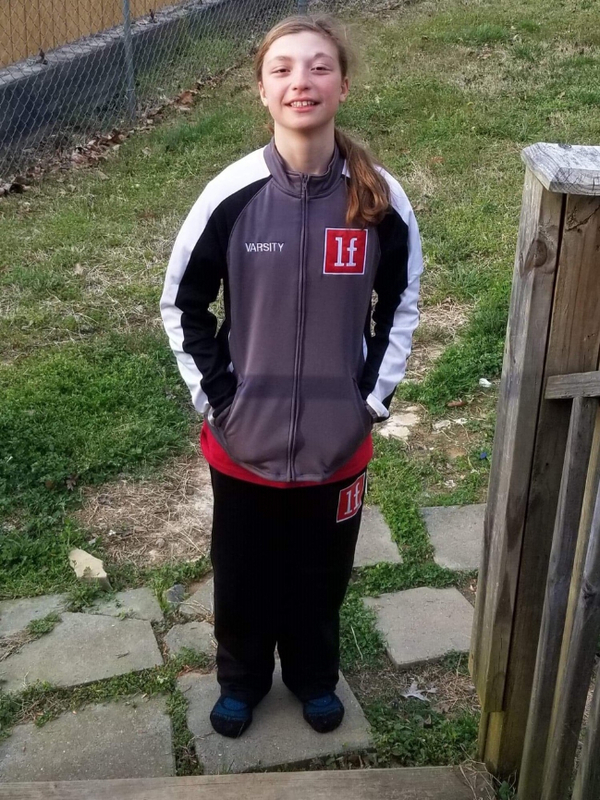 A volunteer /barn helper is expected to bring a great attitude and dress appropriately for the work (not sure what to wear?, ask Kathryn). The volunteer may feed or water horses, sweep the bar aisle, clean tack, etc. every job is important to make the barn and horses happy and healthy. The barn helper must schedule their work time with Kathryn. You make have a weekly time or schedule at various times. You are expected to be on time and no shows are not to, rated. We are a close knit team that depends on individuals that are dependable. 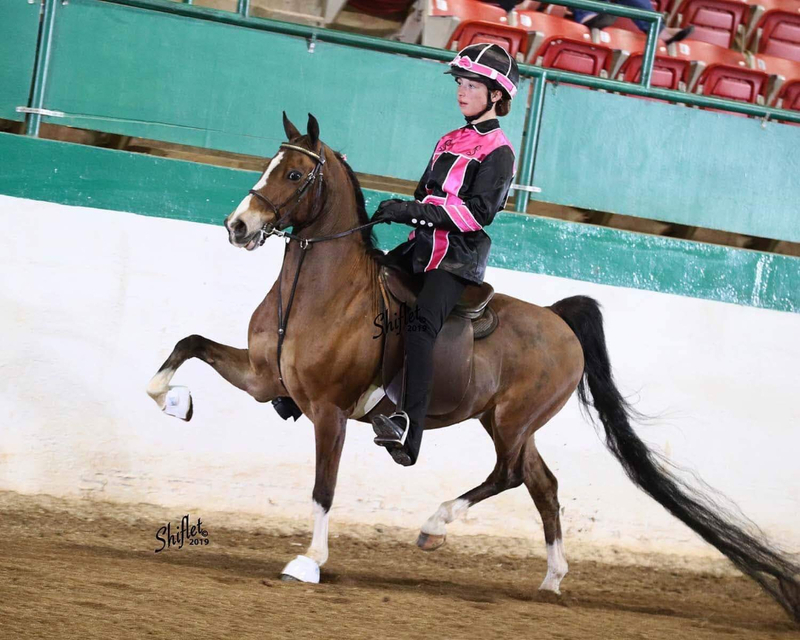 We will help your rider learn the importance of commitment and putting their very best foot forward daily. Barn helpers can be 6 years of age to adult. Way to Go, Mary on your senior project. Mary raised over $2k with a 50-50 raffle where the community and her band family bought raffle tickets. Mary’s dedication was undeniable. Furthermore, she was able to make a donation to Red Dog Farm because of her amazing accomplishment. This is a rider that wants to be 110% in the equine lifestyle. They want to be a part of the day to day activities of the barn and horse training. Barn interns must be 11 years old to adult. Very few are invited to be interns because the commitment is very intense. These riders work a minimum of 10 hours a week. They will work side by side with Kathryn, Michelle, Ashleigh and Raymond. There is no task too small or too great. Your rider will be very tired at the end of the day and they will LOVE the feeling. Barn interns can earn an additional lesson(s) weekly to their paid lessons. MORE SADDLE-TIME and hanging out at the barn! Any horse persons dream come true! The best way to communicate with Kathryn is to email the barn with questions or concerns. Kathryn will schedule an appointment to meet with you or talk on the phone if she cannot assist via email. Kathryn starts her day around 7am and ends about 8:30pm. If email if not an option, please call or text her between the hours of 8am-8pm. Lessons and training prevent her from answering. Please on,y text or call with an emergency. Otherwise, email the barn. Please give us your info! 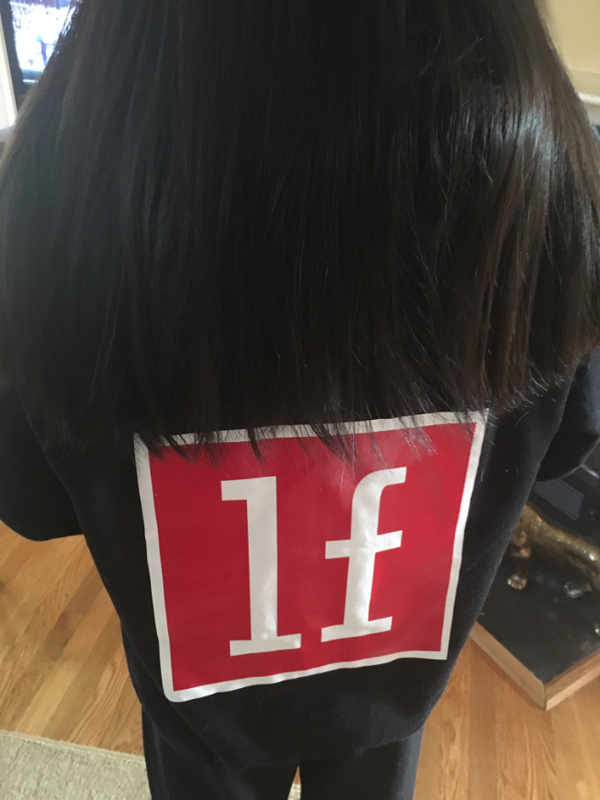 What’s the best way for LF to reach you? Do we have your cell phone number and email? Do you prefer a specific for, of communication? Please email the barn and make sure we have all important phone numbers, names of parents/grandparents and emails. Our very own Grace Scott has been accepted into vet school at NC State! This university is known for its incredible large animal research hospital all over the country. 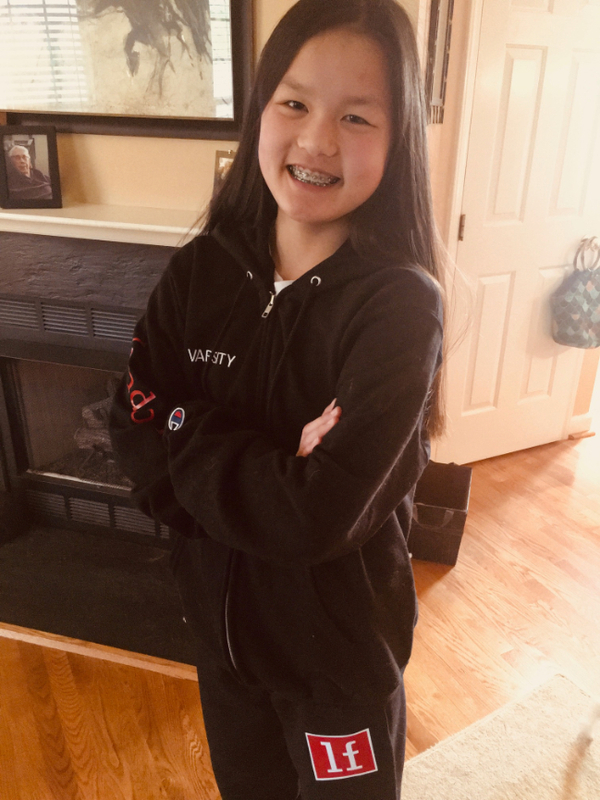 We are incredibly proud of Grace and can’t wait to heave her back in NC. Need some adult time? Ladies (moms, adult riders or both) please join us for dinner at a local restaurant after lessons on Tuesday evenings. We love the laughs and camaraderie. We usually meet around 8pm when Kathryn isn’t at a horse show. Prerequisites are you must be an adult. We are patiently waiting for the arrival of the only foal being born this year at LF. This baby is owned by Bob and Sharon Wilson, founders of Wine and Equine LLC. Mother (dam) of the baby is Prada (Arrowhead’s Fancy Smancy). The mare carrying the baby is a surrogate named Gucci. 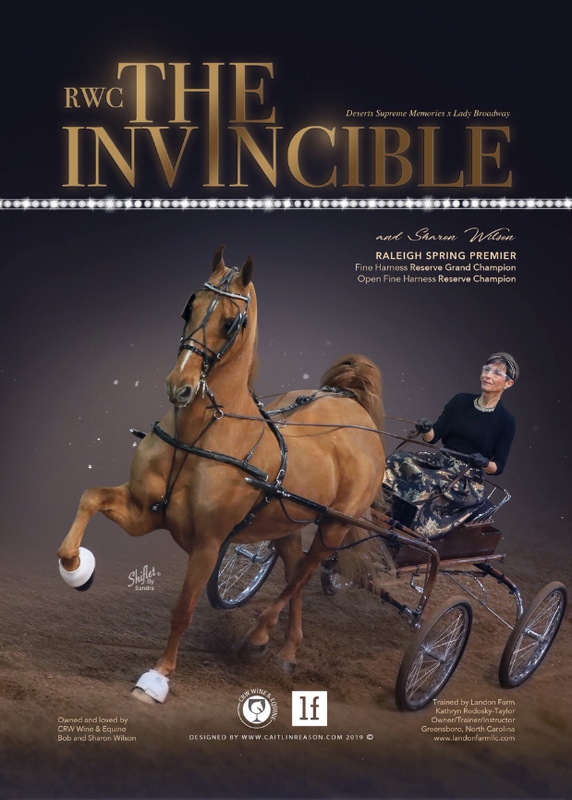 The father (sire) is a very famous horse who has multi titles as a Worlds Grand Champion named Top of the Mark. This baby could be born any day now. Our vet suspects the baby will arrive in about a week. We will not know if the baby is a filly or colt until they are born.